… an all too rare opportunity to enjoy the best bit of Bristol in peace. Following on the success of Portway Sunday Park in 2015, the same very small group of volunteers have got together to extend to create two Peaceful Portway days in 2016. On 15 May and 25 September, when the participants and organisers of the 10k Run and the Half-Marathon have left the road, it will be open until 6.00pm for everyone to enjoy the Gorge. This will create a linear public park to use for walking, running, cycling, wildlife watching, social gatherings and cultural events – all in the majestic surroundings of the limestone cliffs, the tidal river, and Leigh Woods. And more than this; we will demonstrate how Bristol has the vision and creativity to make innovative, cost-effective and flexible use of its resources; we will enable even more of its citizens to take their leisure close to home; it will promote fitness and health through the addition of new opportunities to walk and cycle a good distance within the City boundaries; it will restore vistas over the tidal River, to its ebbs and flow and the raw power of nature and tranquillity to the Woods and the Downs for these two precious days; and it will open up possibilities to reactivate sites along and at either end of the road closure, including Cumberland Basin Piazza. 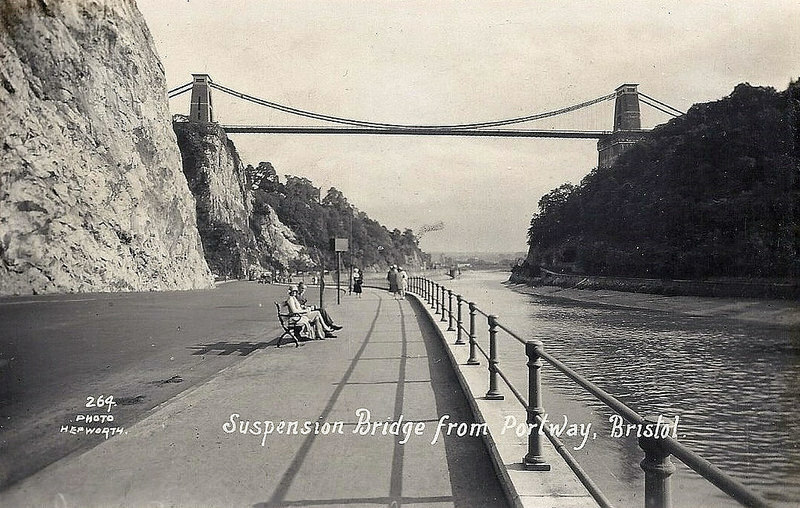 We hope to see Peaceful Portway become an established and popular feature of Bristol life, on a par with the Downs and Ashton Court. And it will be cheap to provide, free to use, easily accessible and wheel chair friendly.